Real fear is a signal intended to be very brief, a mere servant of intuition. But though few would argue that extended, unanswered fear is destructive, millions choose to stay there. They may have forgotten or never learned that fear is not an emotion like sadness or happiness, either of which might last a long while. It is not a state, like anxiety. True fear is a survival signal that sounds only in the presence of danger, yet unwarranted fear has assumed a power over us that it holds over no other creature on earth. 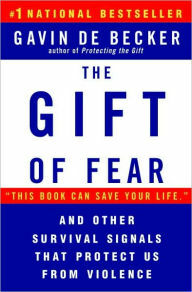 In The Denial of Death, Ernest Becker explains that “animals, in order to survive, have had to be protected by fear responses.” Some Darwinians believe that the early humans who were most afraid were most likely to survive. The result, says Becker, “is the emergence of man as we know him: a hyperanxious animal who constantly invents reasons for anxiety even when there are none.” It need not be the way. I learned this again on a recent visit to Fiji, where there is less fear in the entire republic than there is at some intersections in Los Angeles. One morning, on a peaceful, hospitable island called Vanus Levu, I took a few-mile walk down the main road. It was lined on both sides with low ferns. Occasionally, over the sound of the quiet ocean to my left, I’d hear an approaching car of truck. Heading back toward the plantation where I was staying, I closed my eyes for a moment as I walked. Without thinking at first, I just kept them closed because I had an intuitive assurance that walking down the middle of this road with my eyes closed was a safe thing to do. When I analyzed this odd feeling, I found it to be accurate: The island has no dangerous animals and no assaultive crime; I would feel the ferns touch my legs if I angles to either side of the road, and I’d hear an approaching vehicle in plenty of time to simply open my eyes. To my surprise, before the next car came along, I had walked more than a mile with my eyes closed, trusting that my senses and intuition were quietly vigilant. When it comes to survival signals, our minds have already done their best work by the time we try to figure things out. In effect, we’ve reached the finish line and handily won the race even hearing the starting pistol—if we just listen without debate. Admittedly, that blind walk was in Fiji, but what about in a big American city? Not long ago, I was in an elevator with an elderly woman who was heading down to an underground parking garage after business hours. Her keys were protruding through her fingers to form a weapon (which also displayed her fear? She was afraid of me when I got into the elevator as she is likely afraid of all men she encounters when she is in that vulnerable situation. I understand her fear and it saddens me that millions of people feel it so often. The problem, however, is that if one feels fear of all people all the time, there is no signal reserved for the times when it’s really needed. A man who gets into the elevator on another floor (and hence wasn’t following her?, a man who gives her no undue attention, who presses a button for a floor other than the one she has selected, who is dressed appropriately, who is calm, who stands a suitable distance from her, is not likely to hurt her without giving some signal. Fear of him is a waste, so don’t create it. Previous What’s a life without a few Risks? Next April 2017 – Open Spaces: To Be Ready. To Share. To Sacrifice.